Another successful installation for Seadrill! Home Another successful installation for Seadrill! We recently supplied and installed one of our 500KVA static frequency converters. 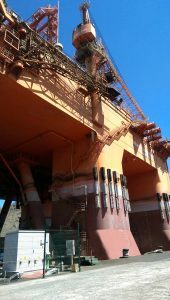 This installation was for one of our prestigious customers (Seadrill) at the Port of Santa Cruz in Tenerife.